dark electronic beds were fused to some genuinely astonishing jazz drumming”. 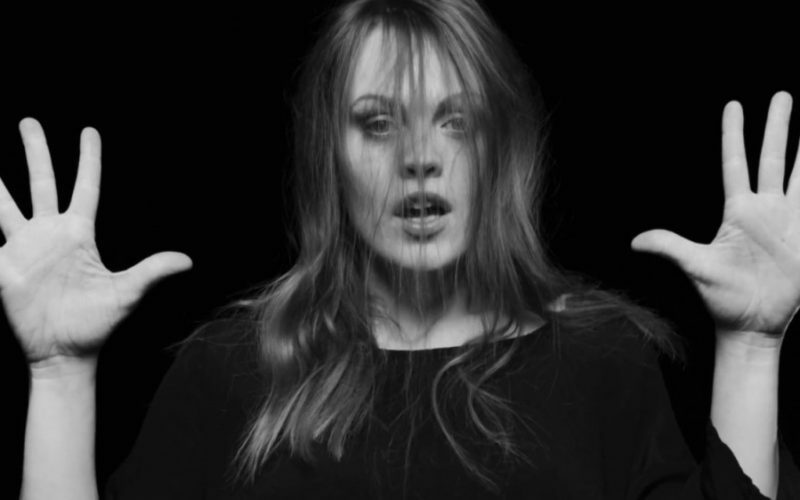 Estonian singer and composer INGRID LUKAS is set to release her single “We Are” worldwide on 3rd June via Ronin Rhythm Records. Nominated “Best Female Artist“ in the Estonian Music Awards in 2011 and 2015, playing at the Olympic Games in London 2012 and performing for the second year at Tallinn Music Week as well as this year’s Waves Bratislava in Austria and Eurosonic, INGRID LUKAS has garnered support from the likes of Drowned in Sound, The Line of Best Fit and Under The Radar. Lukas draws influences from contemporary artists such as Sigur Ros, Björk, Radiohead, Arvo Pärt, Nik Bärtsch, Bugge Wesseltoft, Sidsel Endresen and Portishead as well as traditional Estonian musicians. “Ingrid Lukas manages to create a unique and personal atmosphere. Together with her extraordinarily clear voice and her expressive, deep lyrics this makes her one of Europe’s most promising young singers.” says Norwegian producer Bugge Wesseltoft, who co-produced Ingrid`s second album Silver Secrets (Universal Music, 2011) together with famed Icelandic producer Valgeir Sigurðsson (Björk, Sigur Ros, Coco Rosie). Multi-instrumentalist Ingrid was born in the Estonian capital, Tallinn where she started playing classical piano at the age of five. Taking part in the “Singing Revolution“ in 1989 at the border of the 3 Baltic States, Ingrid moved to Switzerland in 1994. After a nomadic childhood she moved out of home at the age of fifteen to pursue her music career. Ingrid graduated at Zurich’s Academy of Music, HMT Zurich as a jazz/pop-singer and music teacher in 2007. Her studies brought her closer to the Estonian history of music and folklore. 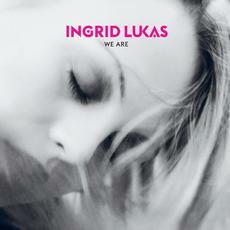 In 2008 Ingrid started a collaboration with renowned Swiss pianist composer and bandleader Nik Bärtsch who became the producer of Lukas’ first and third album and an important musical mentor for many years. Since launching her own project, INGRID LUKAS in 2008 she has played at concerts in Switzerland, Estonia, Austria, Germany, England, Netherlands, Latvia, Slovakia and Italy. Ingrid performs as a duo accompanied by her colleague of many years Patrik Zosso (drums, electronics) or with the whole band including Céline-Giulia Voser (cello and backing vocals) and Manu Rindlisbacher (bass). Urban beats unite with mystical and calm sounds, hymnal strings with grungy bass lines and the Estonian Regilaul tradition with modern song forms. Ingrid creates musical mantras and sings them to keep herself on her own chosen path. By doing this she gives us songs and moods that shed a very personal light on issues that we can all identify with. Ingrid’s music takes us on a journey into the demimonde of spirits and demons, we are driven by a mangy urban beat and finally swim in musical water, which flows from a healing spring. “Tumble down – balance up. Follow the light of sound, touching heaven. I wrote this song, when I was in New York. Impressed by the cities sounds, colors and chaotic energy my heart was also totally touched by an olympic athlete I met while playing a gig at the Olympic games in London. I had two options by losing myself in this chaos or writing a song. Out came “We Are” and a wonderful friendship.” explains Ingrid.